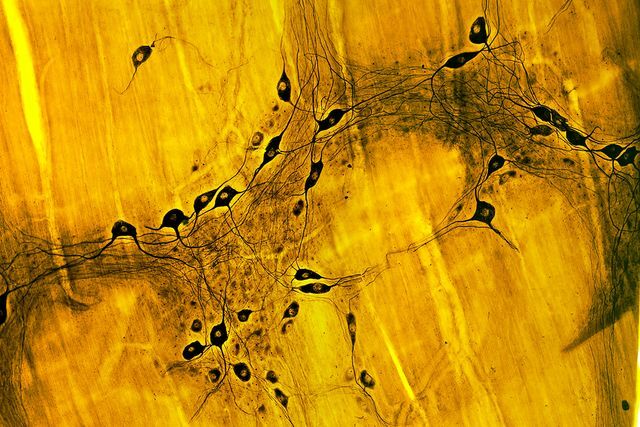 Research published last month in the Society of Neuroscience, and discussed here by New Scientist Magazine, show growing support for the belief that Parkinson's disease begins in the gut and that synuclein fibres can travel from the gut to the brain, as seen in mice; challenging the long held belief that brain is protected from such transfer. While unable to yet determine the specific microbe responsible, this research is a step forward that can inform earlier diagnosis and treatment of Parkinson's by providing direction for future research. Collin Challis at the California Institute of Technology and his colleagues injected synuclein fibres into the stomach and intestine of mice. Three weeks later the fibres could be seen at the base of the brain, and by two months they had travelled to parts of the brain that control movement. The mice also became less agile – similar to people with Parkinson’s disease.